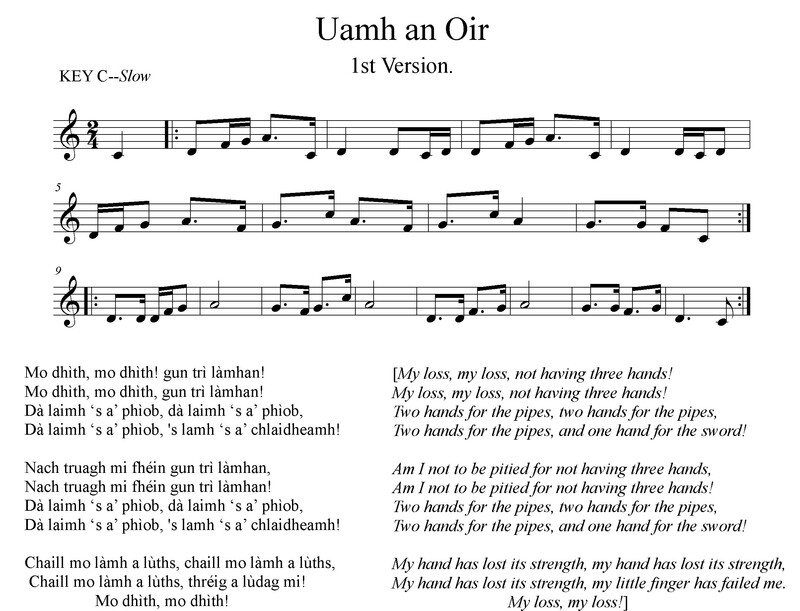 Uamh an Oir – meaning unknown–does not mean of gold. 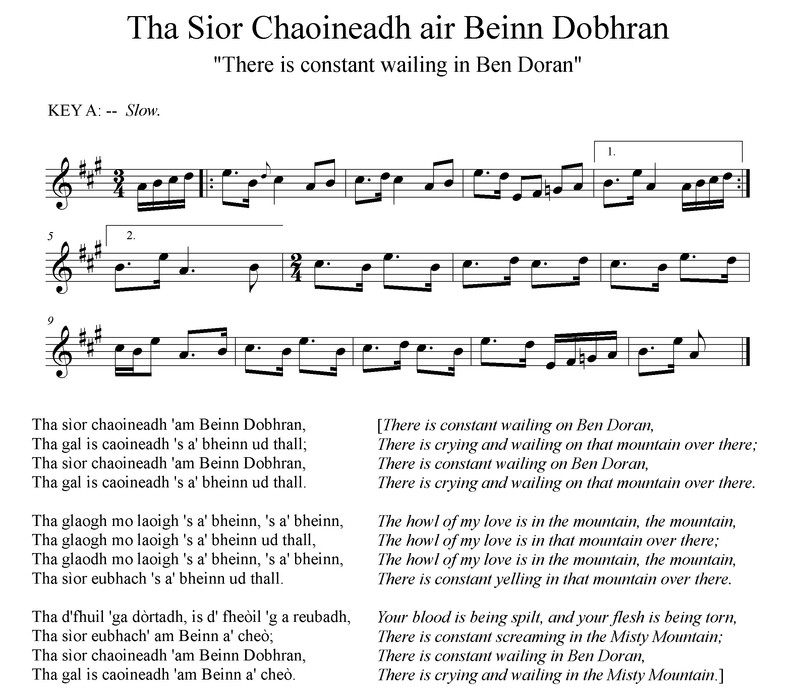 It might be the East, with the sound of ‘O’ gradually lengthened–An Oir–changed to An Òir. The entrance to the cave of Uamh ‘n Oir is near Monkstadt. 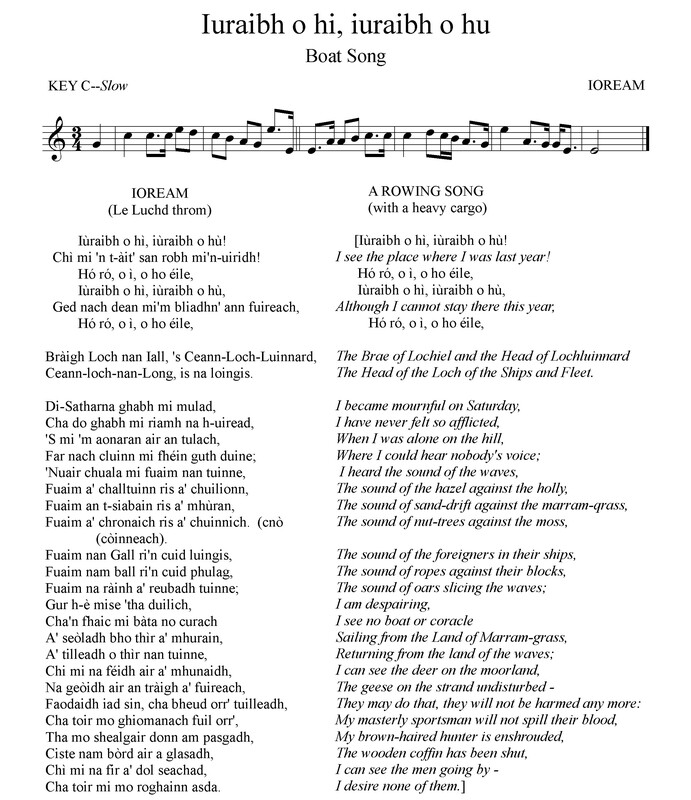 Long ago, a piper and 12 men went in, intending to find the outlet – wherever it might be – and some evil having befallen them, they never reappeared; and the last words of the piper were heard (when he could no longer play) by some people who were at the holy well of Leanacro, coming up through the water. 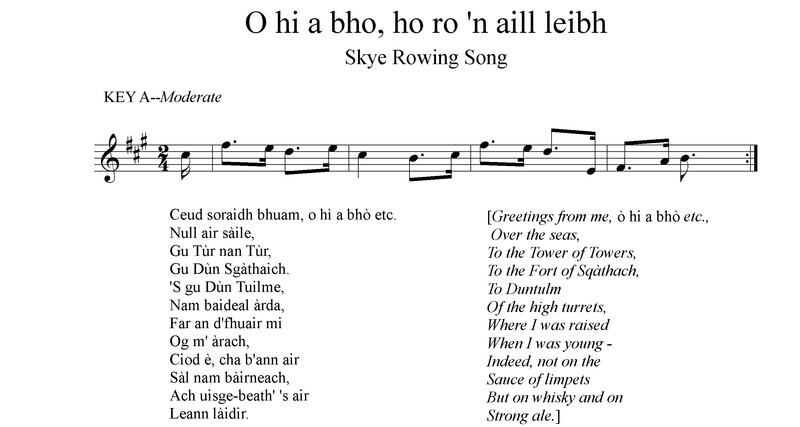 (Trotternish version). 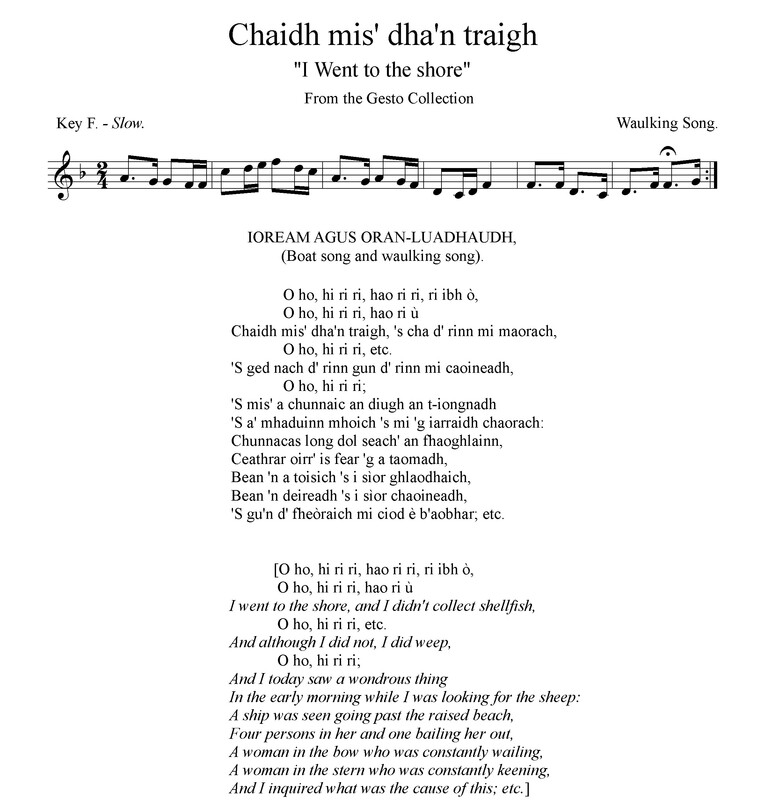 “Tobar Tulach” was reputed to be the best well in Skye for restoring health, and for refreshment. The well of Leanacro is on a hill-top, and was believed to possess many purifying properties for the mind as well as the body. 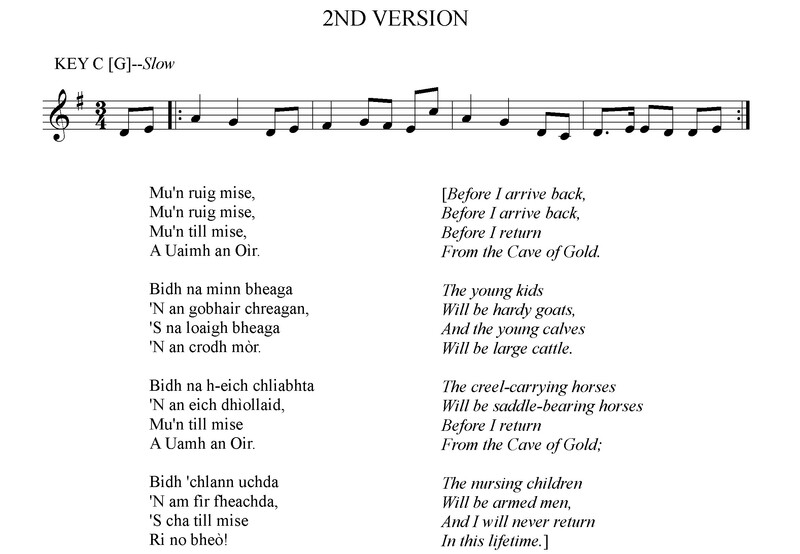 The word Oir would naturally be sung to a long mournful sound, and thus acquire a new pronunciation, which led to its being mistaken for òr – gold.